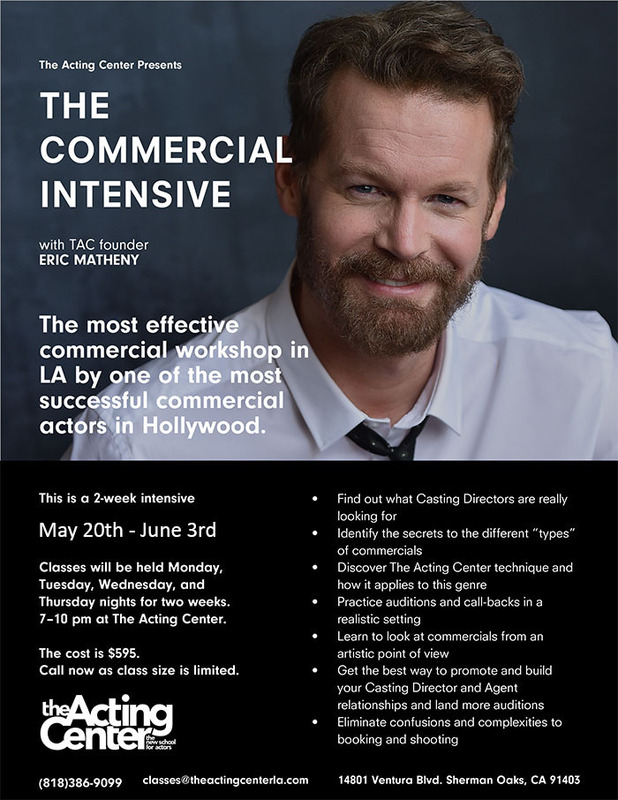 The most effective commercial workshop in LA by one of the most successful commercial actors in Hollywood. In the last year alone, Eric has booked over 36 spots! Including campaigns for Bud Light and Gillette Fusion ProGlide. What is the secret to his success? This is a 2-week intensive, May 20th – June 3rd, 2019. Classes will be held Monday, Tuesday, Wednesday, Thursday nights for two weeks 7-10 pm at The Acting Center in Sherman Oaks.